YveYANG Gallery is pleased to announce Diffraction Metis, a solo exhibition by the London artist Amba Sayal-Bennett. Diffraction Metis will feature Sayal-Bennett’s new projection works along with her new drawings at YveYANG Gallery. This will be Sayal-Bennett’s inaugural exhibition in the United States. Amba Sayal-Bennett’s work tests common conventions of visual communication to probe the relationship between experience and language. By problematizing the relationship between reception and interpretation, i.e. how we obtain meaning from visual experience, and how this experience is transformed and codified, her work seeks to highlight the arbitrary nature of signifying processes by means of their disruption. 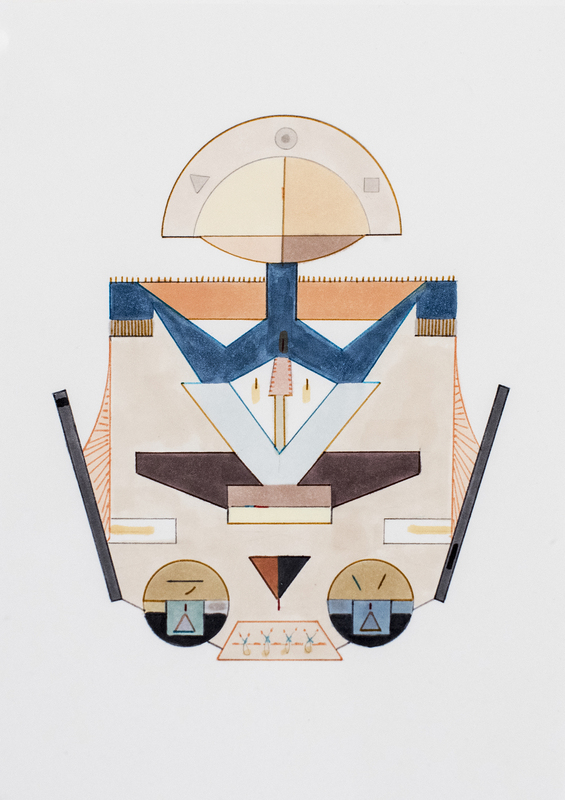 Taking familiar elements from everyday life, or from within her own body of work, and treating them as lexical units to be reformulated within her own ‘aesthetic’ syntax, Sayal-Bennett’s aim is to create drawn spaces that fit within dominant symbolic and linguistic structures yet which temporarily suspend their organizing processes. Her interest in notation has led her to explore how experience can be reduced to basic terms of line, color and shape. Using the logic of this translation she reverses this process, applying it to her own drawings to make spatial constructions from them. She is interested in how these translated elements change through transposition, and how their change in medium and context affects how she works back into them. Sayal-Bennett understands this process as a cybernetic system in which the work evolves through an ongoing process of human—material interaction and feedback, emerging as set of dialogical relationships between herself, the materials she utilizes and the context in which she works. Amba Sayal-Bennett (b. 1991, UK) lives and works in London. She received her BFA from Oxford University in 2012 and her MA in The History of Art from The Courtauld Institute in 2013. She is currently finishing her PhD in Art Practice and Learning at Goldsmiths. Her work has recently been included in UK/raine: Emerging Artists From the UK and Ukraine, at the Saatchi Gallery, London. Other recent exhibitions include WW Contemporary Art, London; Gibberd Gallery, Harlow; Pal Zileri, London; and Lundgren Gallery, Palma.